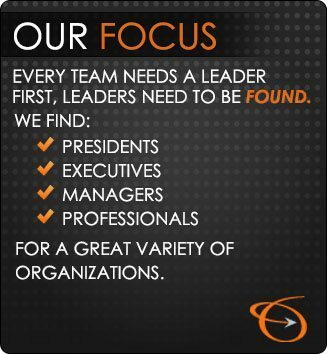 If you’re hiring for managerial or C-level positions in your organization, working with established executive recruiting firms is a must. Taking your internal resources off of their primary tasks and responsibilities not only convolutes the process, but it can also quickly place your company in a hiring cycle (or rather, not hiring cycle) of spinning wheels. No matter what industry your company operates in, hiring qualified executive recruiting firms means that they will effectively take the process over for you and work tirelessly from their existing database of candidates to move from opening to start date as quickly as possible. As with any professional partnership, researching the executive recruiting firms to entrust with your business will instantly bring to light that not all sourcing providers are created alike. 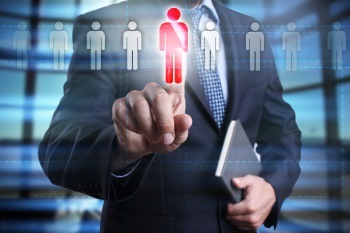 The realm of sourcing candidates for high-level corporate positions is constantly changing. These changes mandate that successful placement firms must continuously recreate and redesign their approach to finding applicants or risk being left behind by the recruiting competition. If you’re in the process of determining which executive recruiting firms will deliver the most effective placement results, it’s important to look at their methodology to guarantee that they are embracing some of today’s most relevant and efficient sourcing trends. One major trend on the sourcing scene lately? A steady decline in agencies relying primarily on job boards alone to fill managerial, directorial and top-level opportunities. Yes, job boards still do provide insight and valuable information, when leveraged appropriately. However, gone are the days when mega-boards touting candidates in every industry are dominating placement ratios. Instead, a reputable firm will have access to smaller, niche-specific online boards to quickly hone in on a candidate with both the skills and industry experience you’ll need for a successful hire. Using social media as a useful hiring tool has also proven a current trend with staying power. Savvy executive recruiting firms understand that the resume only delivers a static snapshot of skills and experience, but lacks the ability to convey what a candidate is truly all about. Tapping into some of the more prominent social media resources can help fill in some of the more intangible blanks on a candidate. Additionally, many recruiters have also taken to posting their current listing of job openings on their social media pages to source applicants already within their online network. Finally, cutting-edge executive recruiting firms will also want to partner with your organization to not only understand your specific goals and objectives, but to also gain a thorough understanding of your internal corporate culture. These hiring innovators recognize that skillsets found on a resume aren’t enough to determine a good final fit. In order to fill your opportunity with a qualified applicant, they must also be in tune with some intangible characteristics, such as work ethic, management style and professional personality, to truly hone in on the best candidate possible.